- Temperatures were relatively warm compared to previous years, with track temperatures peaking at 33 degrees during the day and ambient temperatures around 20 degrees. - This contributed to the fact that hardly any graining was seen. The warm ambient temperatures helped to keep the tyres within the correct temperature window on the long straights here, which was an important factor. 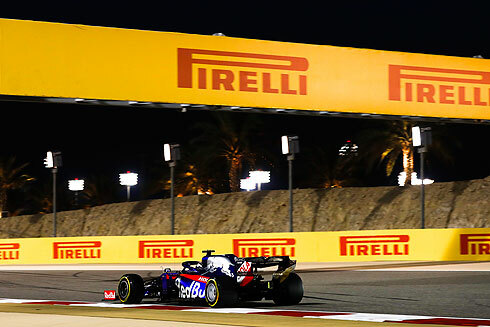 - The performance gap between the hard and medium tyres is around 0.7s seconds, while the gap between the medium and the soft is about 1.1 seconds. - There’s some degradation on the soft tyre as expected, around 0.2 seconds per lap so far. - As usual, the circuit was quite green and slippery in the morning but the cars were slightly quicker than the free practice times last year in both sessions: by just over 0.1s in FP2. - The warm conditions are expected to remain for race day, following slightly cooler weather tomorrow, so the data collected today should be quite representative. 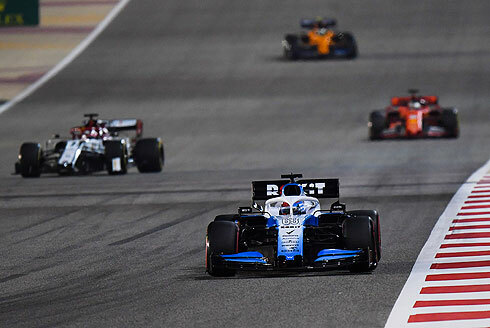 - One of the drivers who was most impressed by the Shanghai circuit was 1996 world champion Damon Hill, who drove his father’s Lotus 49 in a demonstration that finished in the F1 Pirelli Hot Laps garage: part of the celebrations for the 1000th Formula 1 race.